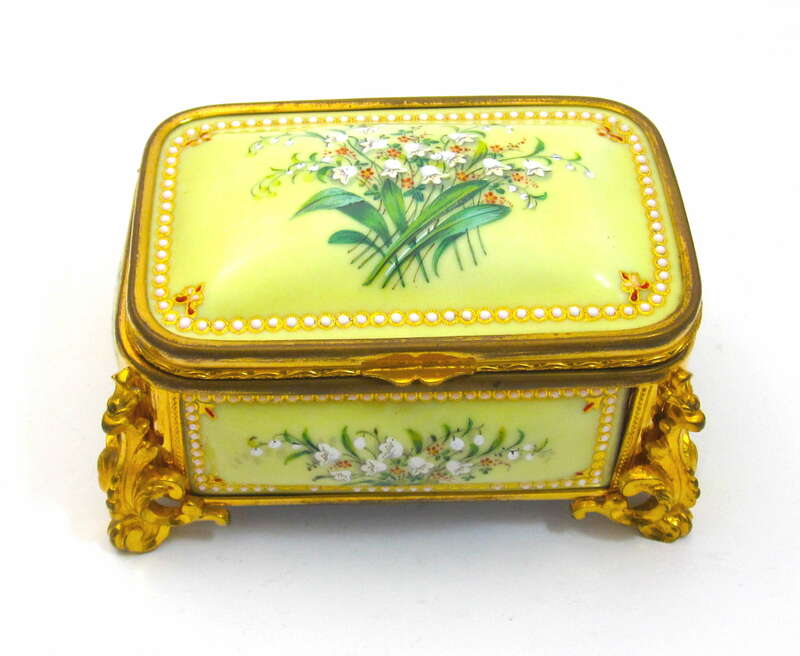 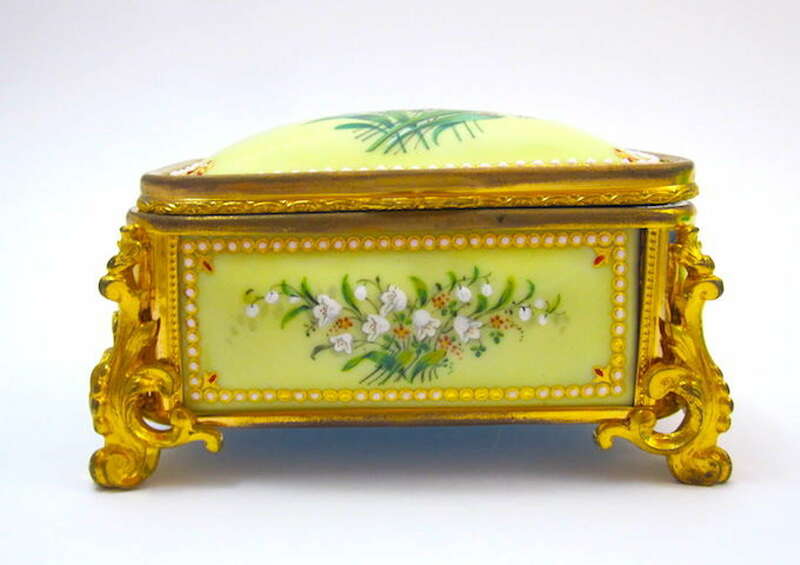 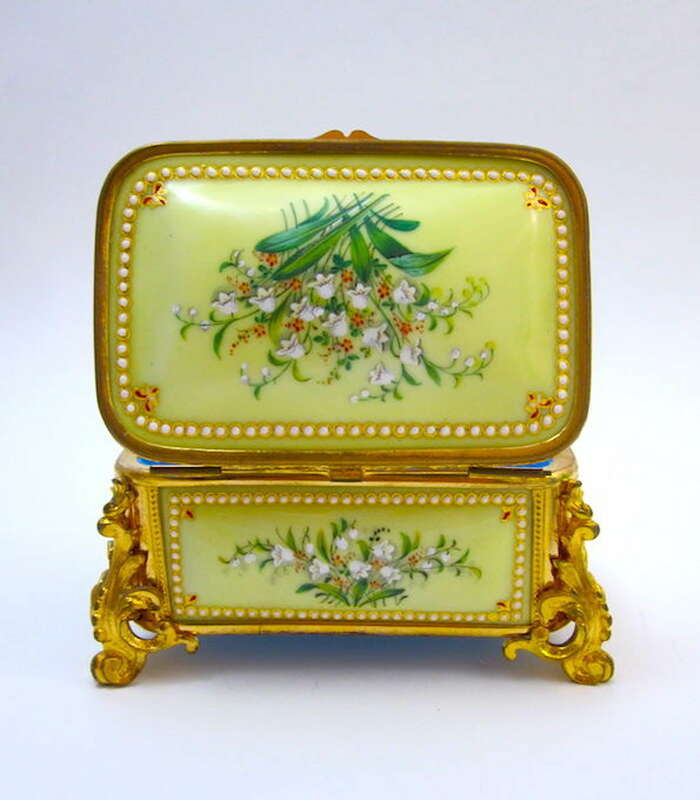 A Superb Palais Royal Antique Yellow 'Bombe' Jewel Casket with Enamelled Panels by Tahan. 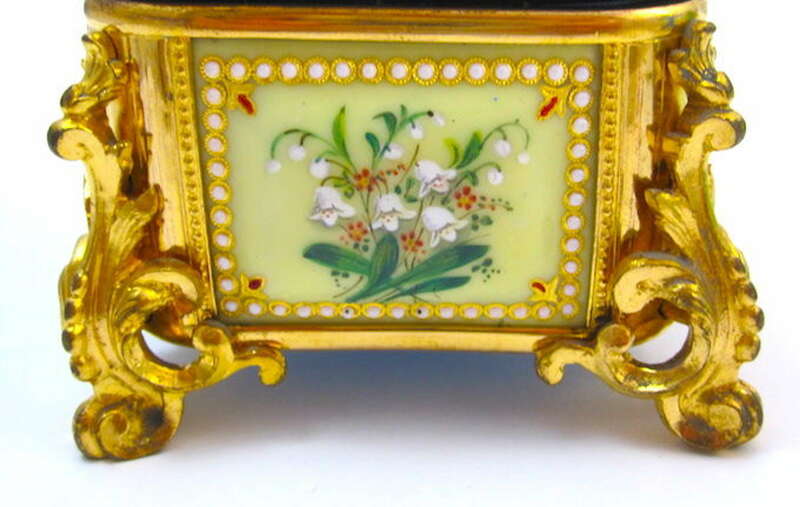 Fine Dore Bronze Mounts Frame Sevres Yellow Enamelled Panels Decorated with Lily of the Valley with Raised Jewelled Enamelling. 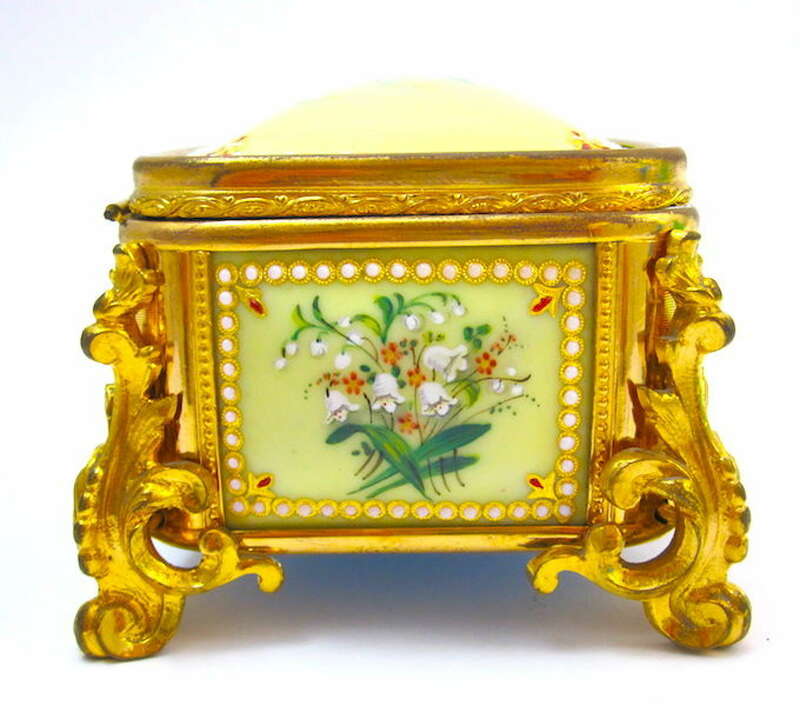 The Panels are Domed like Cushions and Set under the Dore Bronze Frame and Decorative Acanthus Scroll Feet.. 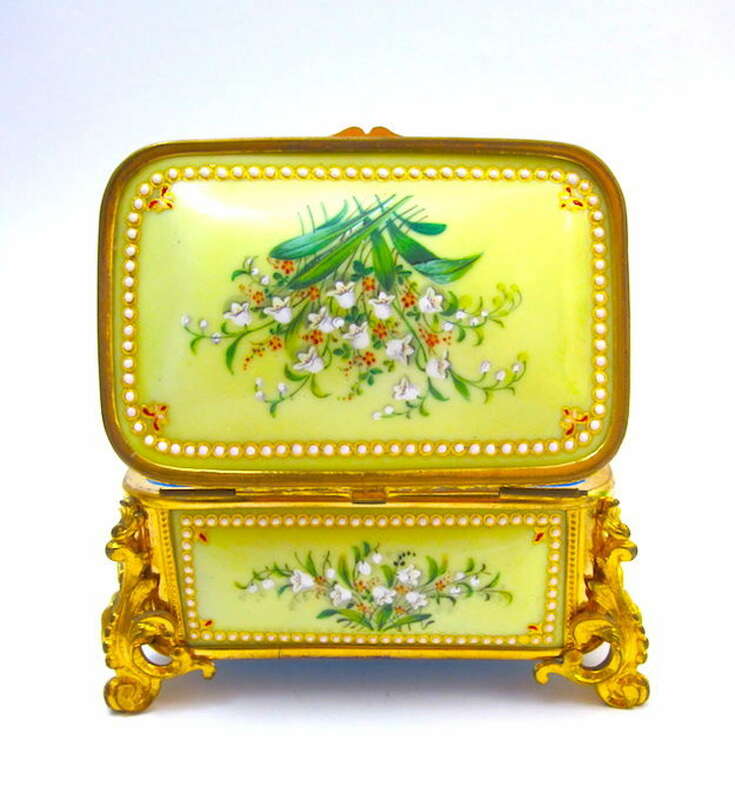 It's Unique Quality and Design is Sure to Make it a Treasured Piece for any Discerning Collector ! 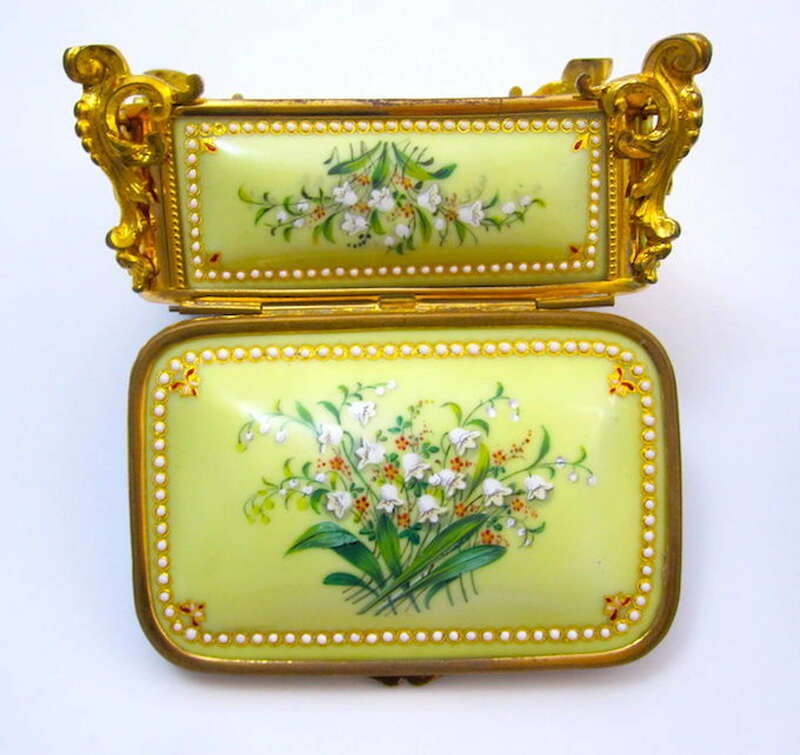 The firm exhibited at The London Crystal Palace Exhibition in 1851 and the Paris Exposition Universelle in 1855, and on both occasions were awarded medals. 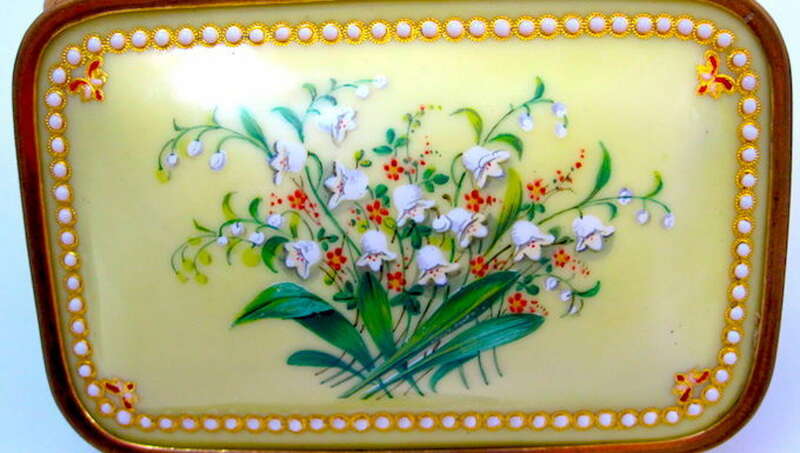 His work exhibits such quality and is in high demand by collectors and enthusiasts alike. 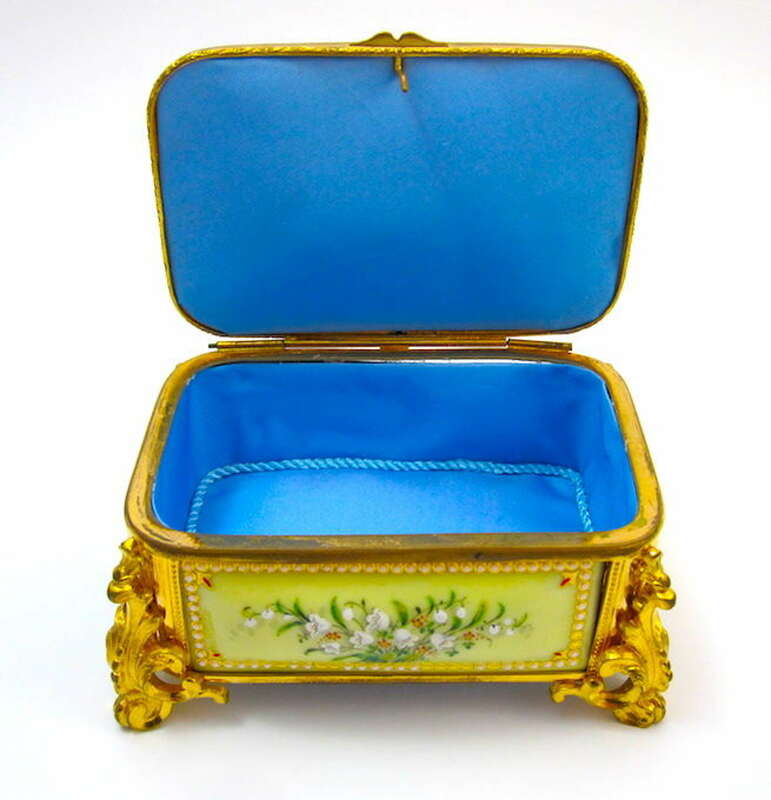 Not only did he produce furniture, but also small articles, such beautiful wooden boxes and fine bronze jewellery caskets.